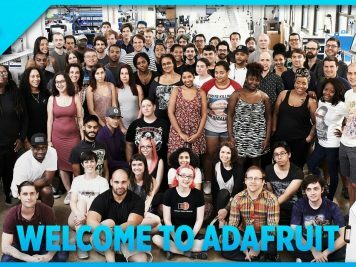 Adafruit’s comic reading list: Marvel’s She-Hulk #adafruitcomics « Adafruit Industries – Makers, hackers, artists, designers and engineers! A new edition of Adafruit’s comic reading list — this week it’s the fabulous She-Hulk, from the fabulous Alicia who works in fab! 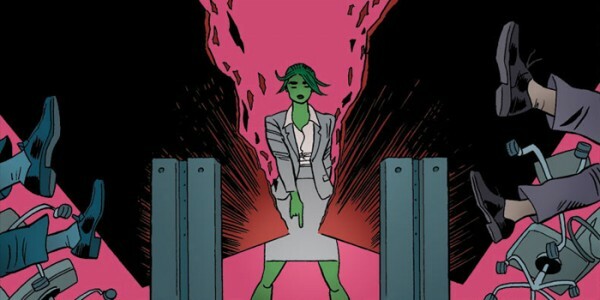 I could wholeheartedly recommend any number of the currently running Marvel lady fronted comics, but I am going to stick to She-Hulk a) because its current run ended in February, which means the whole thing should be available in trade paperback and b) because She-Hulk is my favorite Marvel hero hands down. 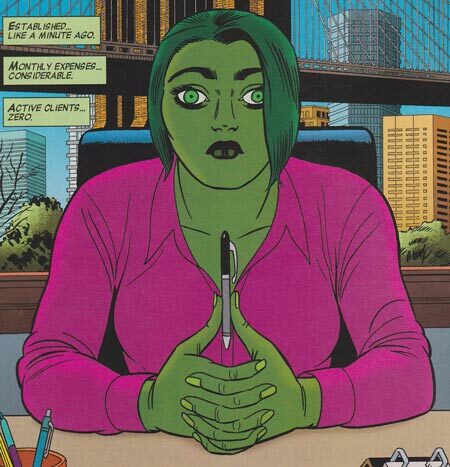 For those of you unacquainted with She-Hulk, she is Jennifer Walters, cousin of Bruce Banner a.k.a. the Hulk who after receiving a blood transplant from Bruce (long and not particularly relevant story), received his powers with a few major differences. While as her name suggests, she can turn large and green due to her now gamma radiated blood, she also doesn’t share the Hulk’s rage issues. In fact, and this is why I like her so much, she is a practicing lawyer, who for the most part specializes in super human law. One of my favorite bits in an earlier run of She-Hulk has her representing a man who underwent the typical super power back story (falling into a vat of toxic materials) who is now suing his company. 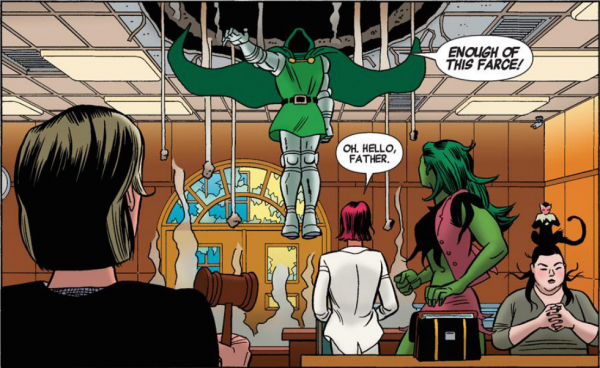 The current run of She-Hulk is especially good because it balances She-Hulk the fighter and Jennifer Walters the lawyer really well, although she does spend most of her time big and green. The art is really amazing, Javier Puldo is the main artist and the style really isn’t like what we’ve seen before and there are some really jaw-dropping panels in every issue. Although she does spend some time as an Avenger and sometimes her stories do tie into bigger Marvel events, a lot of She-Hulk, but especially this current series does not require that much Marvel background which makes her a great character to start with if you’re looking to get more into Marvel. Also as a bonus, like many a Marvel character, she’s based in New York — her law offices are in DUMBO. Check out our previous posts Bee and the Puppycat, Spacetrawler, Grrl Power, and Krazy Kat.